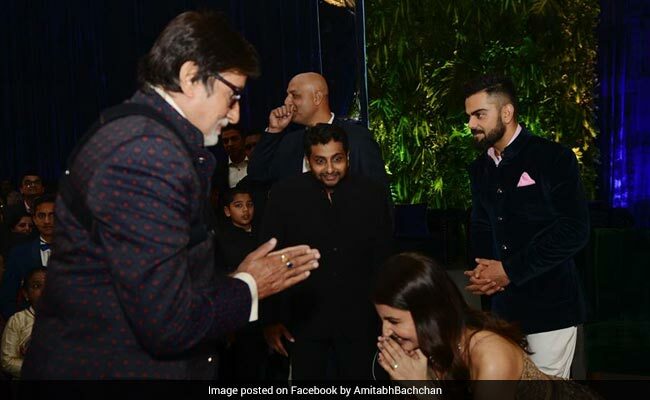 Amitabh Bachchan meeting Anushka Sharma and Virat Kohli during their wedding reception last December. New Delhi: Actor and producer Anushka Sharma celebrated her 30th birthday on May 1. 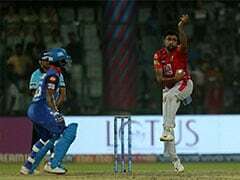 The celebrations included some cake and special wishes from India cricket captain and husband Virat Kohli, a movie date and a delightful announcement about her plans of building an animal shelter near Mumbai. However, even as her Twitter timeline was flooded with birthday greetings from friends, colleagues and fans - many of which the actor is graciously replying to - one Twitter exchange stands out. And it features none other than Bollywood veteran Amitabh Bachchan. Remember how last year Big B had tweeted actor Sonam Kapoor about SMS-ing her his birthday wishes and not getting a reply back? Well, looks like that just happened again, except this time with Anushka Sharma. Earlier today, Mr Bachchan tweeted Anushka his birthday wishes saying she probably didn't receive his text message. The tweet collected quite a few amused reactions with over 7,700 'likes' and almost 1,000 retweets. A grateful Anushka replied to his tweet, thanking the actor for his wishes. Hilariously, she also let him know that she was replying to his SMS as well. Her reply, posted four hours before writing this, has collected over 10,596 'likes' and some 770 retweets. Twitter, meanwhile, did what it does best and posted funny reactions to the exchange. Last year, apart from Sonam Kapoor, actor Ranveer Singh also apparently missed Mr Bachchan's message. Except, he said he didn't. hey .. but what about my intention .. sent you sms greetings for your birthday .. did not get a reply .. did you see it .. !?? Well, we certainly hope no one else misses Amitabh Bachchan's message in the future. Or else... there's a stern tweet coming their way!